Inaugurating the exercise, Union Home Minister Shri Rajnath Singh said that while frequency and intensity of extreme weather events is likely to rise due to climate change, losses can be reduced by making our communities, our towns and villages, and our economic activities resilient. On Day 2, a simulated earthquake measuring 7.8 on the Richter Scale in the NCR razed thousands of buildings and trapped hundreds of thousands inside the debris. Search and rescue operations seemed to be a daunting task. 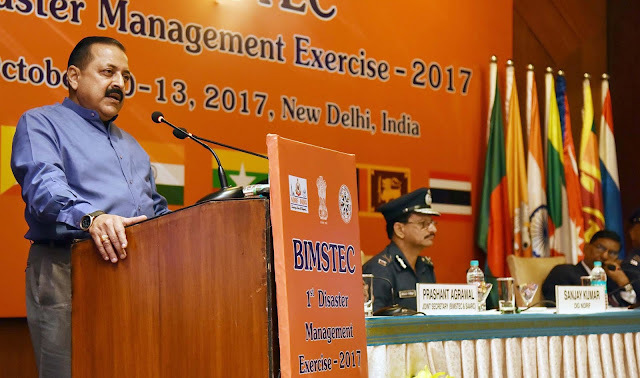 In this hour of need, other BIMSTEC nations sent their teams to help carry out search and rescue operations. Various hi-tech equipment, trained canines and professional capability of the responders helped trace the trapped victims and rescue them. 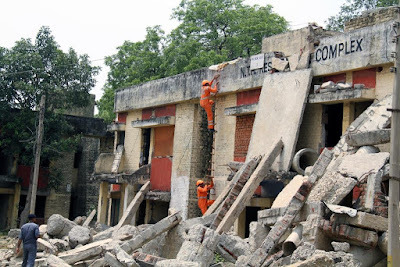 The Collapsed Structure Search & Rescue exercise was conducted at NTH Complex, Kamla Nehru Nagar, Ghaziabad. A Custom Check Post, Reception & Departure Centre, Multi Nation Coordination Centre, On-Site Operation Coordination Centre, Command Post, Communication Centre, Emergency Operation Centre (EOC), Community Centre, Base Medical Station & Rehabilitation Centre were established as per the International Search & Rescue Advisory Group (INSARAG) guidelines for the exercise. Incessant rains, a highly flooded river Yamuna at the Yamuna Barrage in Wazirabad, Delhi, and a large number of people stranded in the flood-affected areas was painted as the disaster scenario on Day 3. A large number of dummy structures, including multi-storied buildings, were erected in the simulated flooded localities with marooned people. 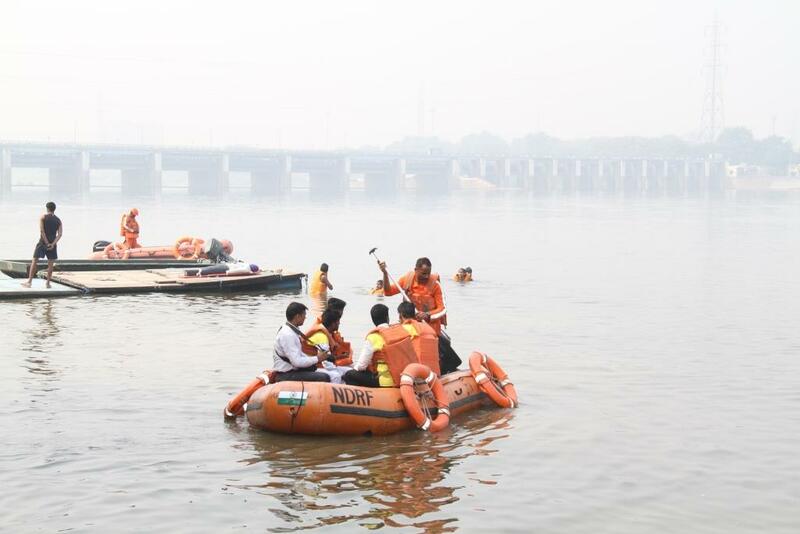 Rescue teams carried out highly synchronized Search and Rescue operations. A helicopter was also used for demonstrating the airborne rescue of the stranded people as well as exhibiting the special skill of hovering and winching of the victims by rescuers. Various flood rescue techniques and use of various improvised rafts made by using locally available resources for evacuation during floods were also demonstrated during this exercise. At the debriefing and 'After Action Review' (AAR), conducted on the last day of the exercise, lessons learnt which would assist the countries to augment disaster response and coordination was discussed. Addressing the participants at the Valedictory Session, Minister of State (Independent Charge) of the Ministry of Development of North Eastern Region (DoNER), MoS, PMO, Personnel, Public Grievances & Pensions, Atomic Energy and Space, Dr Jitendra Singh emphasized upon the need for better coordination, cooperation and sharing of best practices for effective disaster management in the region." As he rightly pointed out, forums like this are opportunities to share and learn from each other’s experiences.